Bank Note / Happy Holidays from Seacoast Bank! The best part of celebrating the holidays is sharing special moments with those near and dear to our hearts. 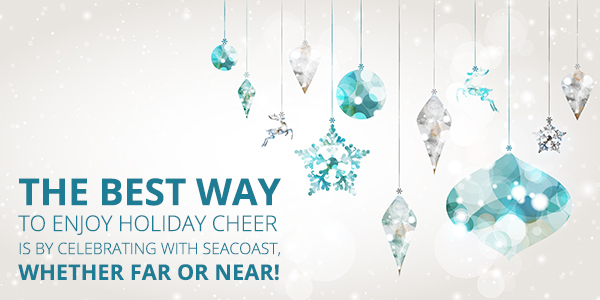 As a customer, you are a valued and treasured member of our Seacoast family, and we’re so excited to share a little holiday cheer with you – the Seacoast way! Thank you for being such an important part of another amazing year serving the communities we love so much. We extend our warmest Season’s Greetings and wish you a Happy New Year!